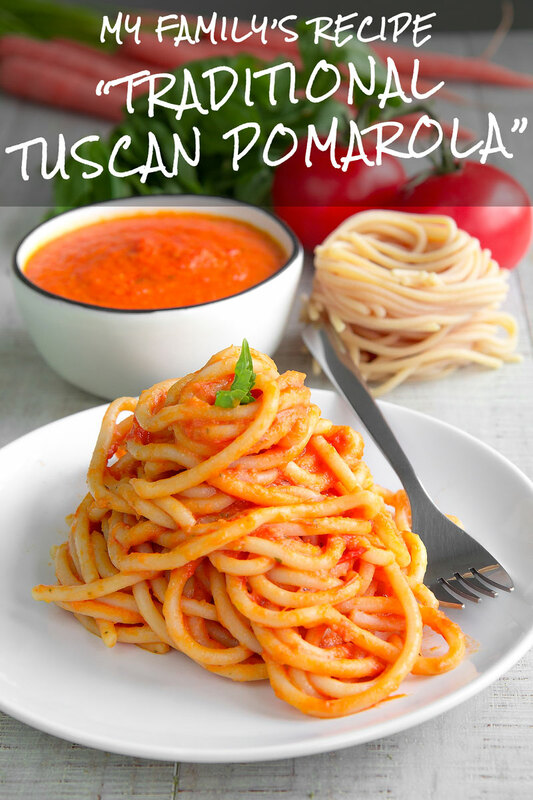 POMAROLA - Tuscan tomatoes sauce for pasta: my family recipe! 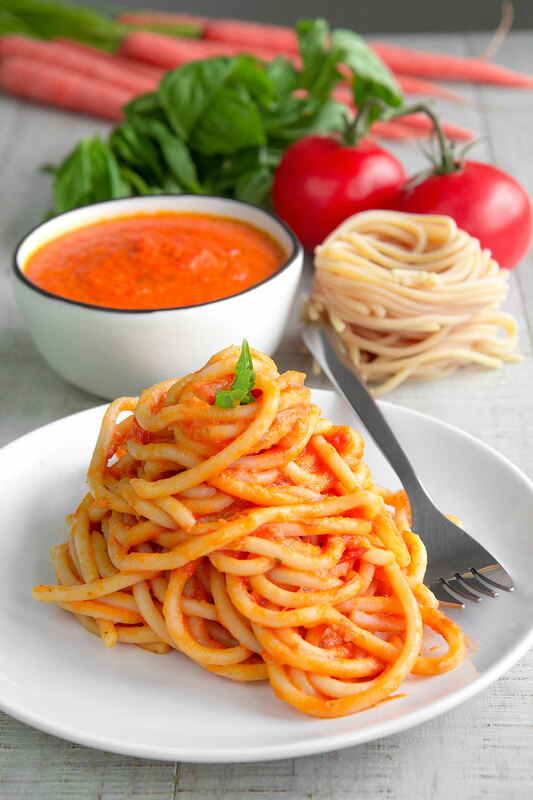 You are here: Home / Gluten Free / POMAROLA – Tuscan tomatoes sauce for pasta: my family recipe! If you like this recipe, please click here, leave a comment and vote 5 stars! This recipe is probably the most important pasta sauce of my childhood: It has been a pillar of my mom cuisine ever since I can remember! Indeed, the origin of my mother’s family is Tuscan, and before my mother, Pomarola had been prepared by my granny and her mother. Even today, when I’m in front of a plate of Penne or Spaghetti tossed with Pomarola, closing my eyes, I’m still at my parent’s table in Italy back from school having lunch with them… this everyday sauce is indelible in my mind and, in its simplicity, a dish that I love to prepare for my family. More than one time, I admit, I ate the Pomarola spread over bread slice! 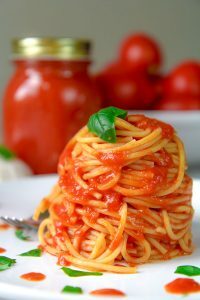 Besides this, the most common way to taste Pomarola is tossed with pasta, either sort and long, like spaghetti or penne. I love to toss Pomarola with Pici, a Tuscan variety of spaghetti. Pomarola is also perfect tossed with potato gnocchi, or stuffed pasta, like Ravioli or Tortelloni. Another way is making a delicious Risotto, along with Carnaroli rice butter and Parmigiano Reggiano. I love also to prepare meatballs slow cooked into Pomarola: delicious! TOMATOES – To prepare a Pomarola to perfection you want to choose perfectly ripe and extra-juicy tomatoes. In case, use prime quality canned tomatoes, preferably San Marzano. ONIONS – The tradition prefers red onions, but if you desire a milder taste, use white onions. GARLIC – garlic: yes or not? Several chefs use garlic to make Pomarola. But, there is another big part of cooks that prepare this recipe without. So, it is up to you: I like to use it! 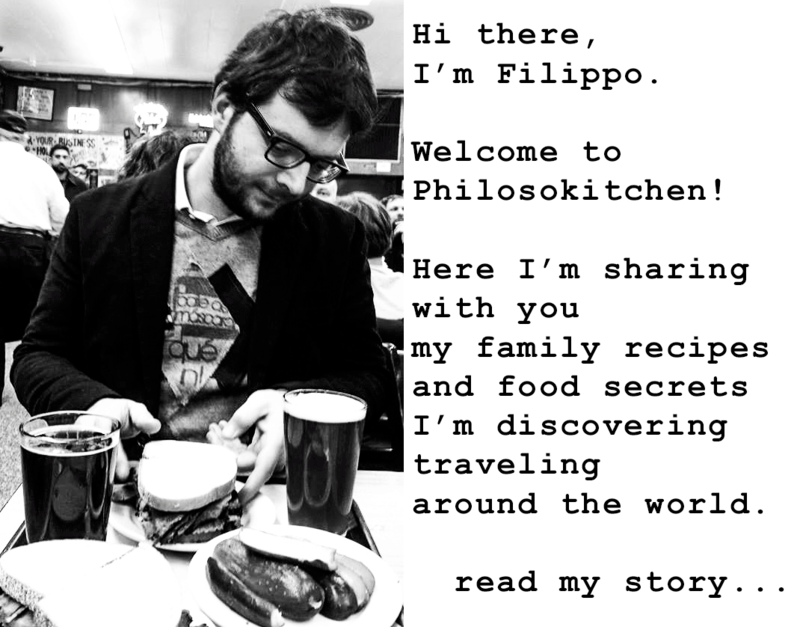 SOFFRITTO – This is another hard choice. 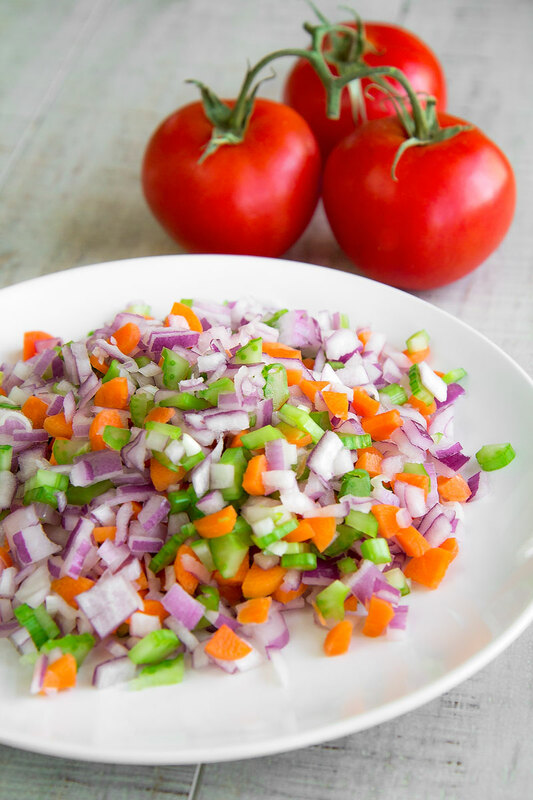 I prefer to prepare the Soffritto (sauteed garlic, celery, carrots, and onions) before adding the chopped tomatoes: it gives more flavor to the sauce! But, some people in Italy (and my mum for years before changing her mind) prefer to prepare Pomarola adding all the ingredients at once. In this way, the vegetables will boil instead of pan-frying: less tasty but more healthy. HERBS – The traditional herb fresh basil. The dried oregano is a delicious alternative, particularly in the cold season. BLENDING – Electric Blender or Vegetable Mill? If you are asking this to my mum, there is just one answer: vegetable mill! An electric blender is a decent option. First, peel and mince the onion, the carrots, and the garlic. Then dice the celery discarding the leaves. At this point, pour 2 tbsp of extra-virgin olive oil into a saucepan and place over medium heat. 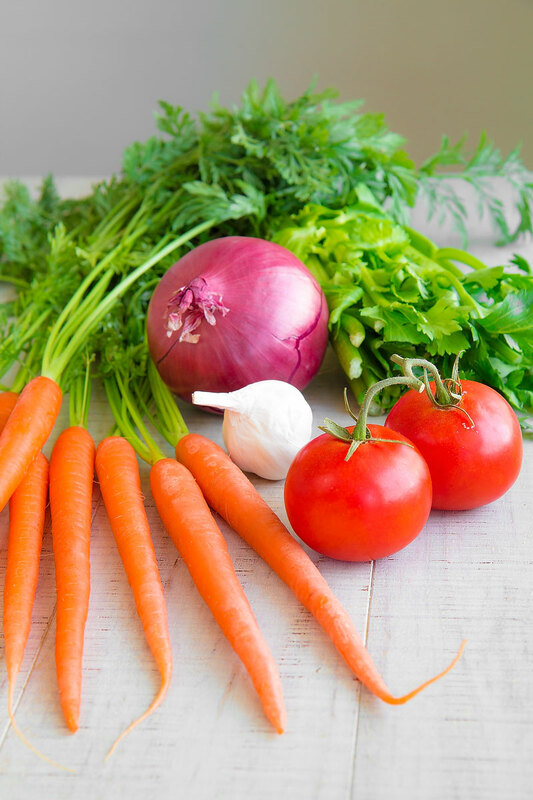 Sauté the Soffritto vegetables along with a pinch of salt until soft and translucent, stirring as needed. 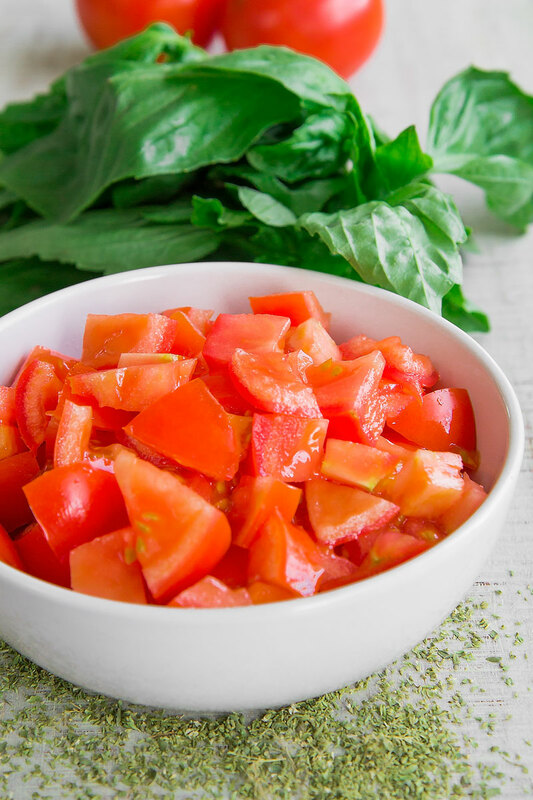 Now, chop the tomatoes and add to the Soffritto along with a couple of basil leaves. Then, cover the pan and cook 30 minutes stirring every 5 minutes. If necessary, add a few tbsp of water. Finally, add salt to taste, 1 tbsp of olive oil, and 2 more basil leaves. Then, mix with a blender or pass through a vegetable mill. Toss Pomarola with pasta, or rice, or meatballs; otherwise, store in the fridge up to two days, or freeze. Did you like these recipes? please click here, leave a comment and vote 5 stars! Nyc well explained. looking forward to see more recipes in future.